The Centre for Comparative Religions and Civilizations of the Central University of Jammu celebrated the World Philosophy Day on 19th November 2018. The celebration was sponsored by the Indian Council for Philosophical Research (ICPR). The theme of the celebration was Philosophy of Man and Environment. 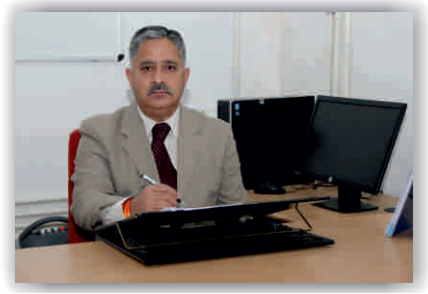 Dr. Anil Kumar Tiwari, the Dean of School of Philosophy and Culture, Shri Mata Vaishno Devi University was the guest speaker, Prof. Tiwari spoke on “Understanding the interconnectedness of human and environment” in which he emphasized on individual realization and responsibility to protect the environment. Prof. M. H. Zaffar spoke on the Kashmiri Rishi Tradition and Environment where he quoted from Nund Rishi and other rishis. He stressed on ecologically sustainable society. Mr. Ajay Kumar Sigh presented the Buddhist view on man and environment, he brought out the Buddhist principles that are in sync with environmental protection. Dr. Murugesan A spoke on human and environment in the philosophy of Jainism and Christianity in that he highlighted the spiritual and ethical responsibility of individual to promote the eco-freindliness. The celebration ended with the presidential remark by Prof. Govind Singh, Dean, the School of Humanities and Social Sciences, he emphasized Gandhian principles for advocating the environmental protection.